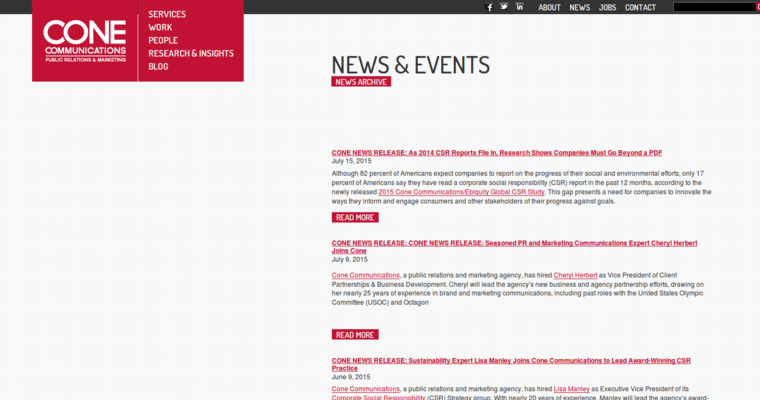 Working with many great brands, Cone Communications is always making a difference. The top public relations firm believes that building successful brands and making a positive impact on the world is not mutually exclusive. Doing both is exactly what drives them. 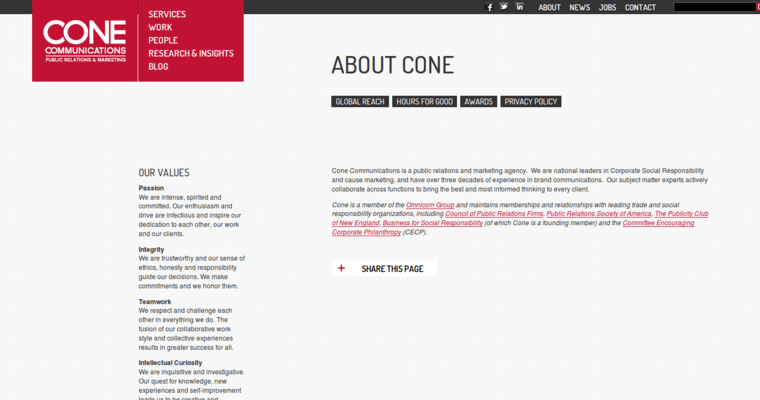 Cone has a 36-year history of developing inspiring campaigns to prove it. Their work and research has drawn together some of the deepest thinkers in global issues and nonprofit communications. 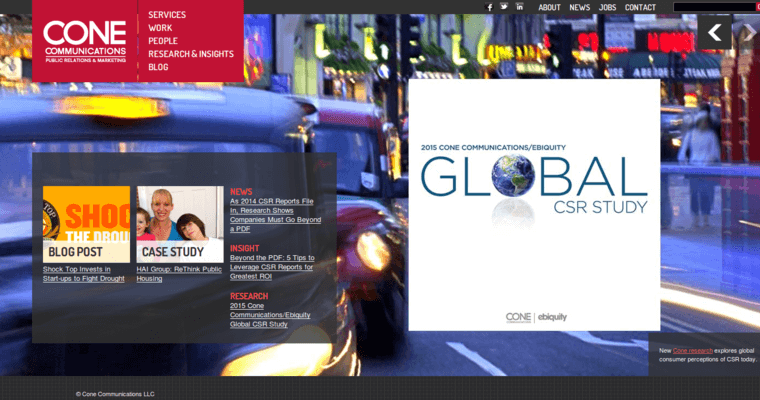 Working with great thinkers and ambitious marketers, Cone Communications sets out to tackle communication challenges and deliver emotional storytelling while creating brand value and tracking trends. If you need an agency that drives positive change while driving a healthy bottom line, Cone Communications is the prime choice.